I know what you’re envisioning. Grabbing what was a piping hot mug of coffee and taking a swill, realizing, only once it’s touched your lips, that it’s gone cold. Gone stale. Gone downright nasty. 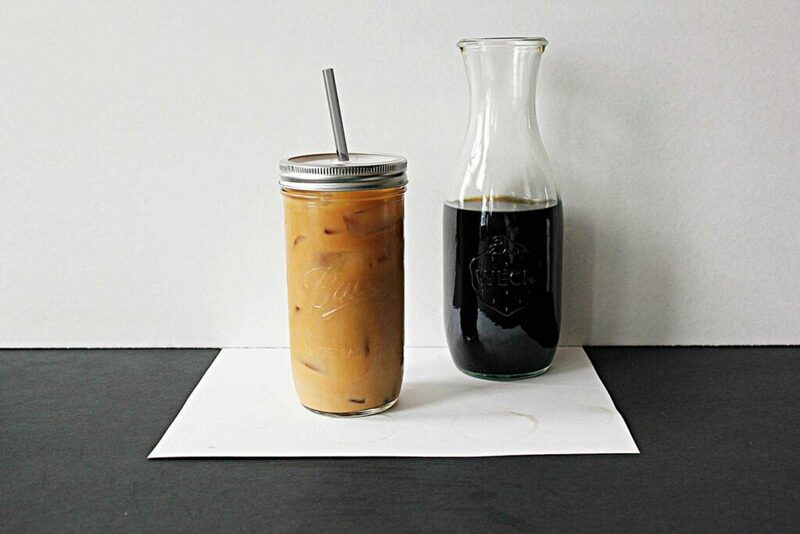 Cold brew coffee is brewed completely differently than hot coffee. In hot coffee, hot water is forced through coffee grinds and a filter, increasing acidity and altering the chemical composition of the coffee beans themselves. 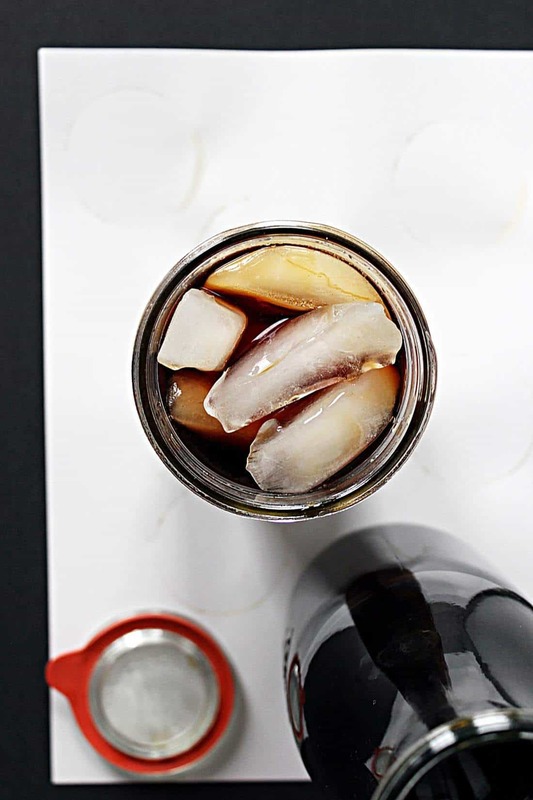 In cold brew, you simply soak the coffee grinds in cold water, let steep from 12-24 hours, and store the concentrate in the fridge for consumption. This cold and slow method of brewing the coffee actually brings out different flavours in the coffee than hot brewed coffee. The cocoa flavour is often more pronounced and it has a smoother finish with less bitterness. I recently had a visit with a Naturopathic Doctor, and after some testing we determined that I am allergic to all dairy products. 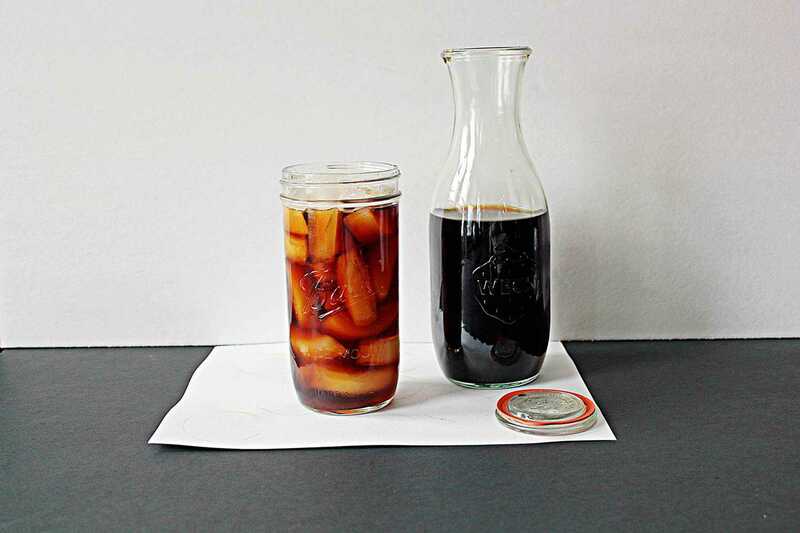 My trying cold brew coffee was borne from a lack of alternatives! I could not thrive on nut milk creamer forever, it just isn’t the same as a serving of rich, creamy cream. I happened to try this coconut creamer, on a hope and a prayer that it would work. I was floored by the results! 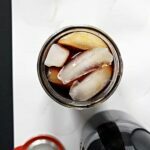 I’ve been trying to convert everyone I know to cold brew. Ha. 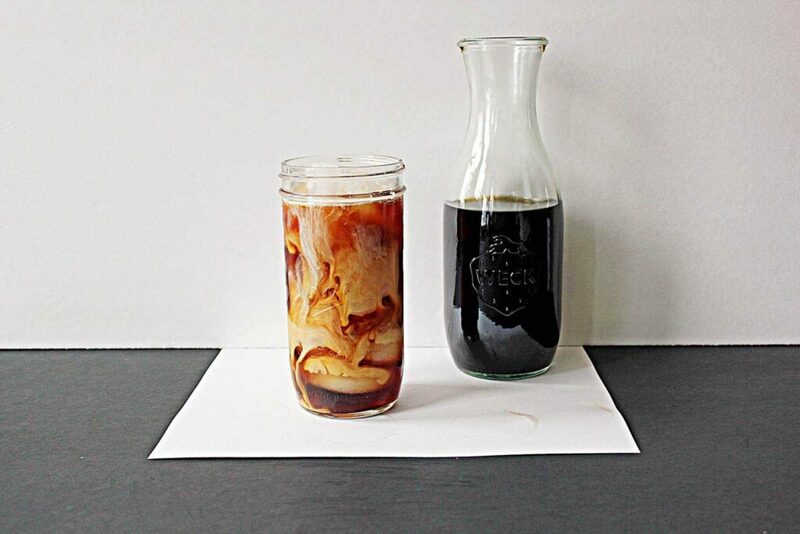 I’ve called it concentrate in this post, and that’s really what we’re making, a cold brewed coffee concentrate. I personally don’t water it down, I add as much ice as I can fit in my cup, and add some cream. I usually only brew my coffee for 12 hours, I find that’s when the taste is the strongest, and I don’t have to water it down. Longer than that, I need to water it down because it gives me the caffeine jitters. FIll a nut milk bag with coarse coffee grinds, and drop into a large mason jar. Fill jar with cold water and put in fridge for 12-24 hours. 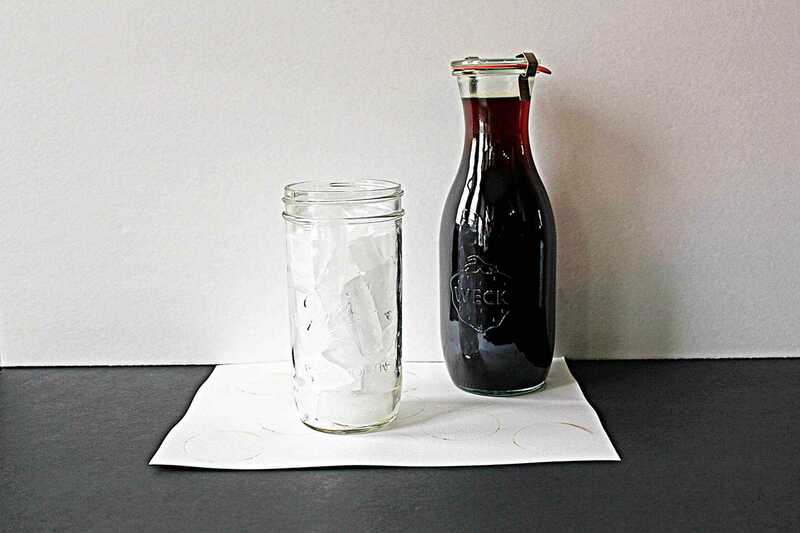 After steeping, remove the nut milk bag filled with coffee and strain remaining coffee. 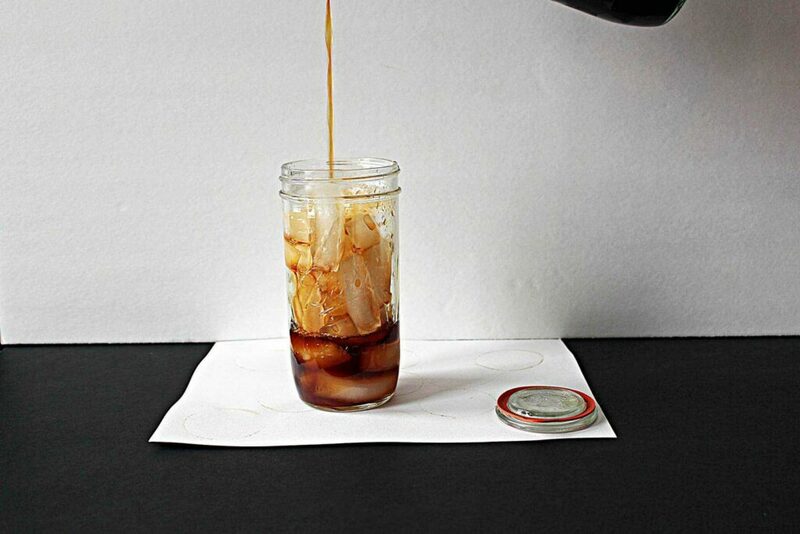 Fill a large cup with ice, add cold coffee concentrate and add desired creamer, and sweetener.